On Tuesday it was my 37th birthday and I am glad to report that I survived it. Thirty seven is officially in the late thirties category, I don’t feel old, I still feel eighteen half of the time, hell, I probably act eighteen three-quarters of the time. When I was a teenager, I literally thought 37 was approaching grandma years. Even when I was in my 20s I thought 37 was SO old and dreaded ever being so ancient!!! Well now I’m here and it feels anything but! Hopefully by the time I’m 57 I’ll feel the same way! 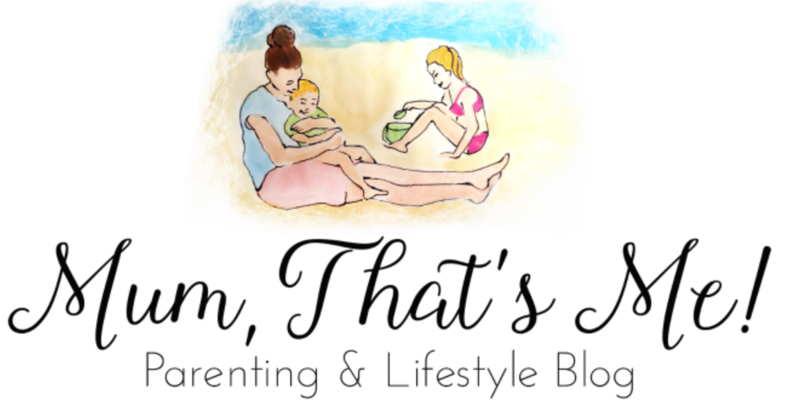 I wrote a post titled More Grey Hairs the other day, from that post you will have read about the irony of grey hairs just before my birthday and the fact that I am getting older and how I didn’t like the idea of another birthday and turning 37. As far as birthdays goes it was a pretty good one, as my birthday is only a couple of weeks after Christmas and a few days after New Year most people are all partied out no one has any motivation to do anything which is another reason why I am always negative around my birthday. What was also strange about this birthday is that I was spending it alone, well until 3pm when I had the school run to do. M was working and it was E’s first day back at preschool. In the morning before school E was very excited about my birthday and was very keen to assist with card and present opening, I think she was more excited about my birthday than I was. It has to be said I was a little spoilt with lovely presents this year. I wont go into all the details but here are a few of my gifts. 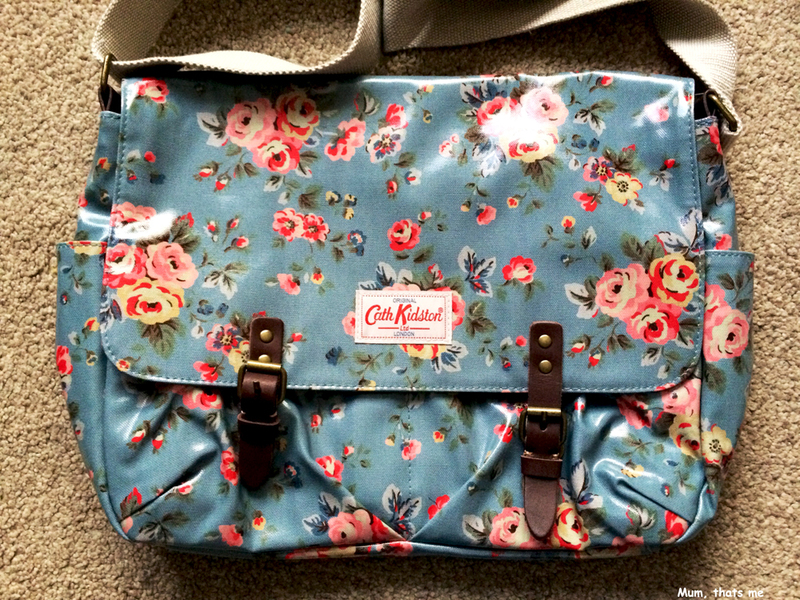 I love Cath Kidston bags, purses and all the other lovely things they sell. I didn’t however think I would actually own a nice bag like this. I had made comment a few times about how annoying it is when I go out with E that I not only have my handbag but a rucksack with a few of her bits in. This saddle bag is the perfect solution, plenty of space for both mine and her stuff needed for going out for the afternoon. E is now at the age where I don’t need to take as many of her things with us when we go out. Absolutely love this bag that M got me. 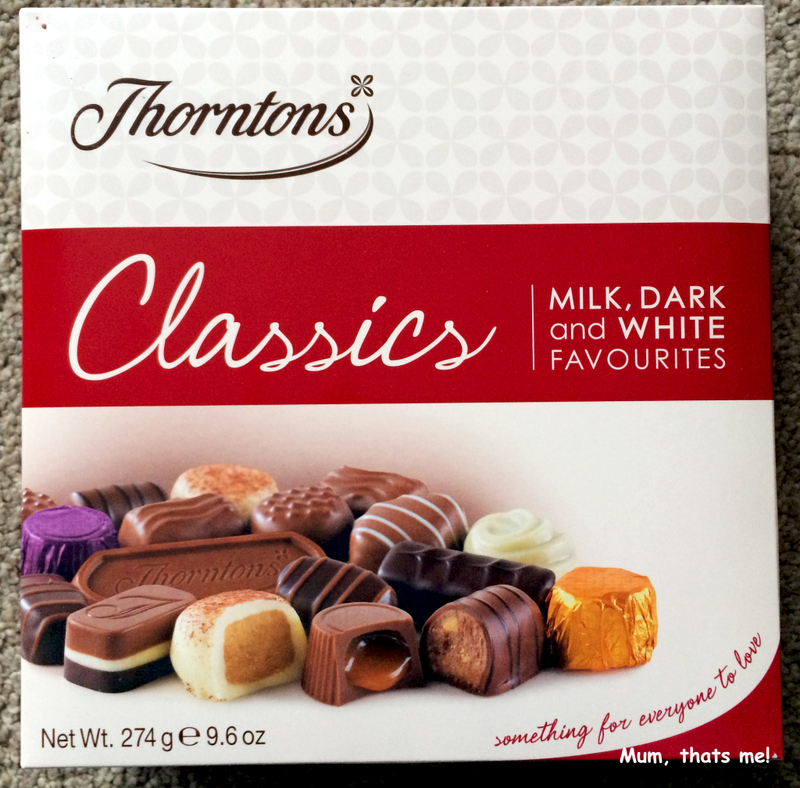 Chocolates – who doesn’t love chocolate?! These were from E. Once I had unwrapped the present she very quickly said, its good to share isn’t it mummy? It seems she had a very clever ulterior motive about asking to give mummy chocolates. From my parents I was given this beautiful sparkly top. Many a time when I go out with friends, which normally averages around four times a year, I have a little moan that I have nothing nice to wear. After all why would I buy things I rarely get to wear. 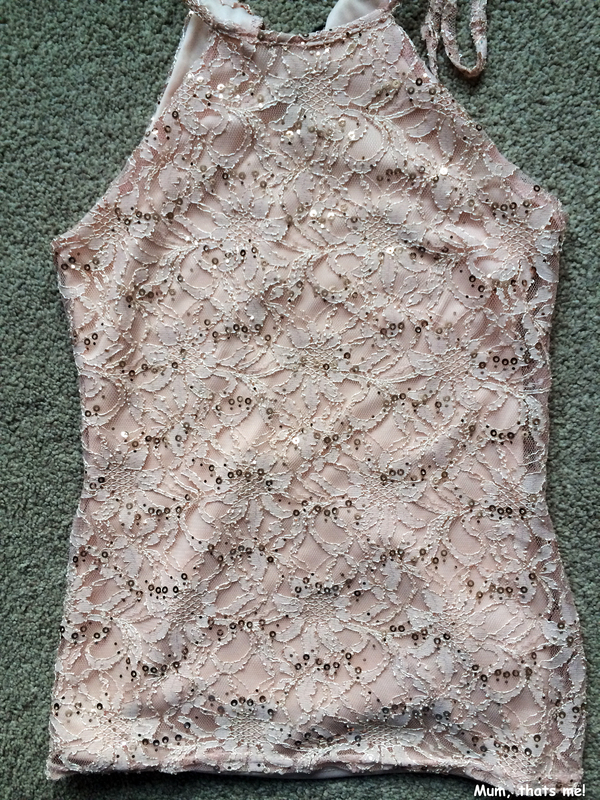 This top is beautiful and looks so nice on.. time to arrange a night out with the girls so that I can sparkle. I also received a really nice Roxy Zip up hoody, a couple of casual t-shirts, a copy of the book a secret garden – my favourite book from childhood and I received some money. Truly spoilt with such lovely presents. Seeing a I was spending the day alone I thought what a great opportunity to write some blog posts, as I started to write my husband drove into the drive, he had managed to take the rest of the day off from work so he took me out for a birthday pub lunch. This really was a wonderful surprise as my husband isn’t renowned for romantic gestures. Not only was it a birthday pub lunch but it was child free which is a rarity, I really enjoyed myself and afterwards when we got home I had an afternoon nap for half an hour, surely that’s a sign of getting older? Once E came home from preschool it was birthday cake time, I was told that she chose the cake, it was very tasty. 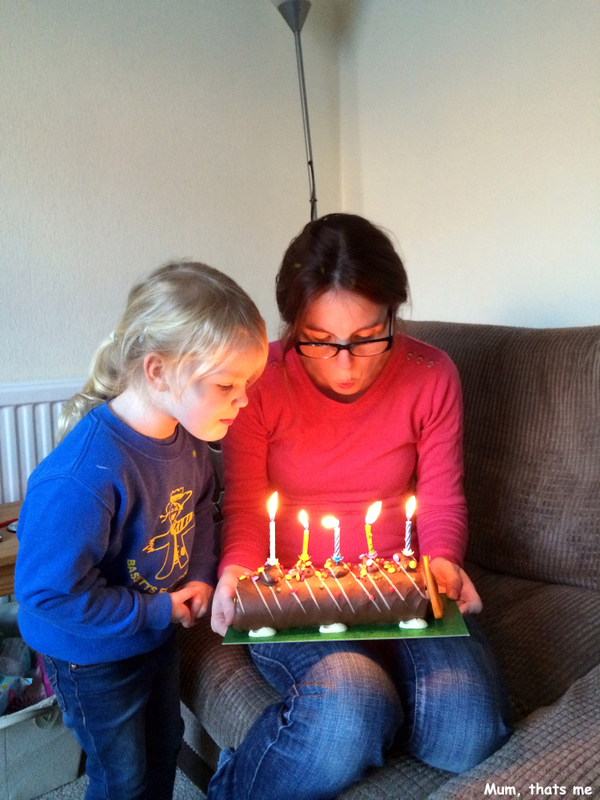 E was keen to help me blow out my candles, thankfully there was no room to put 37 candles on. I spent the rest of the day relaxing, playing with E and speaking with family. Around 4.30pm there was a delivery, a late in the day birthday present from a good friend who lives in Bristol. We are renowned for fun and silly presents for each others birthdays so I had no idea what to expect. My friend had read the post about grey hairs and my fear of aging and kindly sent me some anti wrinkle cream! I could only laugh and i now have to think of some form of revenge. We spent the evening drinking Prosecco, eating Pringle’s and watching Lego Movie, a really relaxing night which just topped off a really enjoyable birthday. 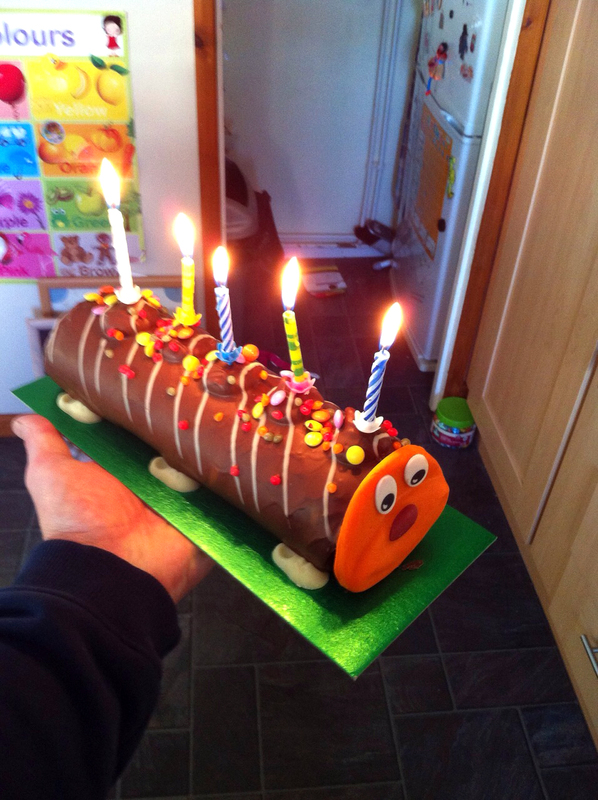 Maybe next year I wont so bah humbug about my birthday..